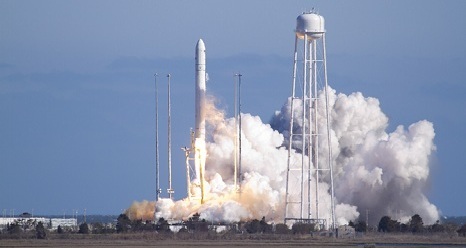 Earlier this week media reports indicated an engine problem with the Orbital Sciences Antares rocket to be used for the historic D-1 Cygnus launch scheduled for June 15, 2013. Cygnus will be carrying the SSEP Falcon I payload of 7 experiments (named for the Apollo 15 Lunar Module), and this is to be the first flight of Cygnus to dock with the International Space Station (see May 3, 2013 SSEP National Blog Post). According to reports (see for example SPACENEWS May 7, 2013), Orbital Sciences decided to replace the engine. This is not a trivial activity, and when coupled with the current schedule of vehicle traffic to and from ISS, leads to a significant launch delay from the June 15 targeted launch date. NCESSE’s formal protocol for SSEP spaceflight operations is to communicate concerns directly to NanoRacks, our launch services provider, and they in turn communicate with NASA to assess the situation and determine the appropriate and accurate information to be reported to affected flight experiment teams (note the SSEP payload is just one of multiple payloads). This communications pathway typically takes a few days. NanoRacks can confirm that the Orbital D-1 launch has slipped from June 15, 2013 to September 2013. As announced in the press, this delay is the result of concerns about one of the first stage engines and the decision to replace that engine. NanoRacks will provide further schedule details as they become available. At this point, we do not know the projected launch date in September, though we suspect the situation will become clearer once engine replacement operations are well underway. After assessing the situation and projected impact, on May 10 we formally notified the Community Program Directors for the affected experiments (note just 5 of 17 Mission 3 experiments are flying as part of the Falcon I payload – which also includes a Mission 1 re-flight experiment, and a Mission 2 re-flight experiment). 1. NCESSE assumes that all 7 mini-labs, and their associated ground truth mini-labs, will need to be dumped and refilled. Student flight teams handed over their flight mini-labs to Houston in late April. Without a refill, these mini-labs will have been idle for at least 4 months before getting to orbit via the rescheduled September flight. We expect that the viability of the freeze-dried biologicals in many of the experiments, even if kept refrigerated, will diminish over this waiting period. And likely all fluids and solids might go ‘stale’, so that a refresh is prudent if not required. QUESTION: can you confirm that your experimental fluids and solids will need to be dumped and refilled for hand-over to Houston about 1 month before the rescheduled launch? QUESTION: we know of one community where securing fluids and solids has been a challenge. In such a case, can NCESSE assist with securing new fluids and solids? In the face of this new challenge, student flight teams are now in the midst of assessing the situation, and reporting to NCESSE. Clearly we did not want to report a launch delay – a quite significant launch delay – but it is what it is. It goes without saying that Orbital Sciences needs to ensure the highest probability for success. 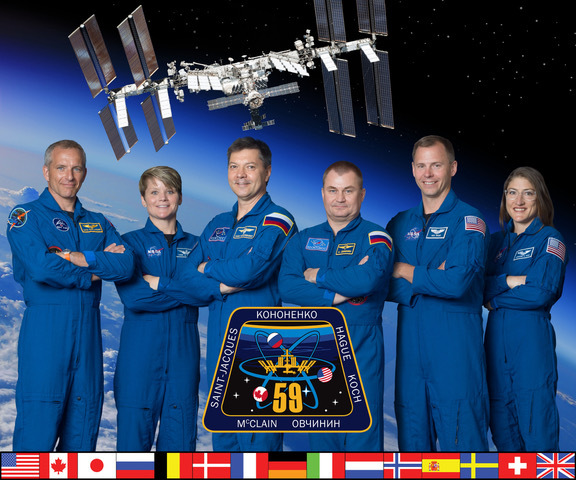 America’s future in human spaceflight in part depends on it. FYI – in the news at the end of April, the Russians just increased the cost to orbit to a stunning $70,000,000 per U.S. astronaut. The U.S. critically needs ferry-to-orbit capability, and getting SpaceX and Orbital vehicles first operational with cargo to orbit, then crew to orbit is vital. Orbital needed to replace an engine. That must have been a tough, expensive decision for them, but they needed to make that decision. So, as is the case with other research teams beyond SSEP, we are now in hurry-up-and-wait for launch.